North West law firm Harrison Drury has appointed four new trainees to its growing team. Becci Haffner, Abbie Seed, Lucy Blezard and Robert Orkney have been offered training contracts as part of the firm’s 2018 intake of trainees. Harrison Drury has been named in the Sunday Times Best Small Companies to Work For list for three consecutive years, which continues to help it to attract applicants from across the region. 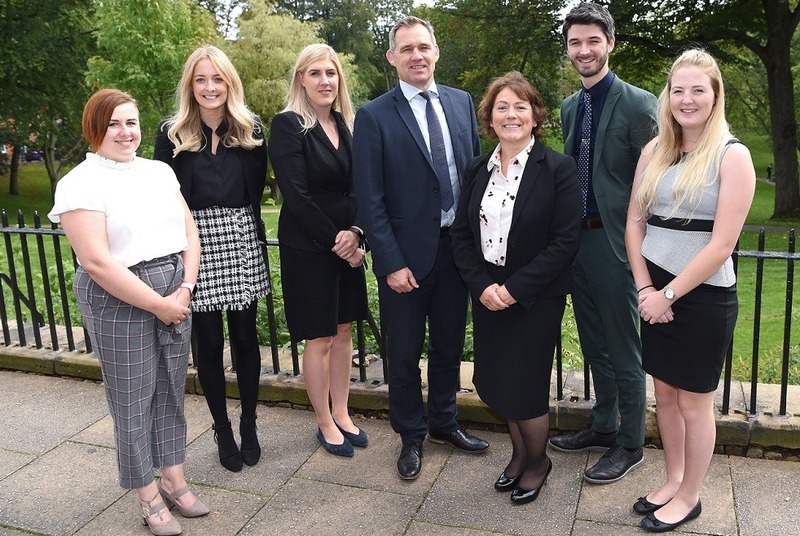 The firm also has strong links with the education sector, including the Future Leaders in Law programme it runs with the University of Central Lancashire. John Chesworth, executive chairman of Harrison Drury, said: “We’ve appointed four new trainees in each of the last four years. Once again, we were impressed by the quality of applicants for our training programme. Each new trainee will gain experience in different areas of law, spending time with various teams within the firm before choosing their specialist area of practice. Becci joined Harrison Drury in 2014 and worked as an executive administrator and paralegal while completing her legal studies. She commences her training with the property litigation team in Preston. Abbie had legal roles with Forbes and DWF while studying. She will be based in Preston with Harrison Drury’s property litigation team. Lucy studied part time for her legal qualifications while working for Amey, one of the UK’s major infrastructure companies. She has worked within Harrison Drury’s employment and regulatory team since 2017 and will remain with the department to complete her first seat as a trainee solicitor. Robert gained experience with DWF while completing his studies and starts with a seat in the commerical property department in the Lancaster office.